I have tried it, it’s quite easy to build UI and also to link it with the services. 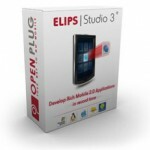 If you like developing applications for mobile platforms you should definitely try Elips 3.0, you’ll deploy your application for different platforms in a minute, and the most important thing is that it will run in native, so you’ll get more money because you can sell it on Android Market, Apple AppStore, etc. When I used it, it didn’t covered many classes from Flex, but with what they provided you could have built nice apps. Also their support on forum is very professional, and they answer to you very fast ( http://developer.openplug.com/ ). flash player is available on phones for some time now. this tool compiles the app you write in flex in the phone native code. so it’s not running in a flash player instance on the phone. it will be a app like any other after you build it. give it a try, it comes with a emulator where you can test it (look a bit weird though). I am looking for data on how many mobile devices are currently connected to the Internet and estimates for future projections.